Deck 13 will officially announce its sci-fi, dystopian action RPG next month. Deck 13 Interactive, which developed the intriguing but derivative Lords of the Fallen for current gen platforms, will be officially revealing its next game at Gamescom next month. The announcement was made by Focus Home Interactive which stated that there would be information via interviews with key devs rather than a gameplay trailer (as per Videogamer). The above screenshot is the only real tease that’s been offered. 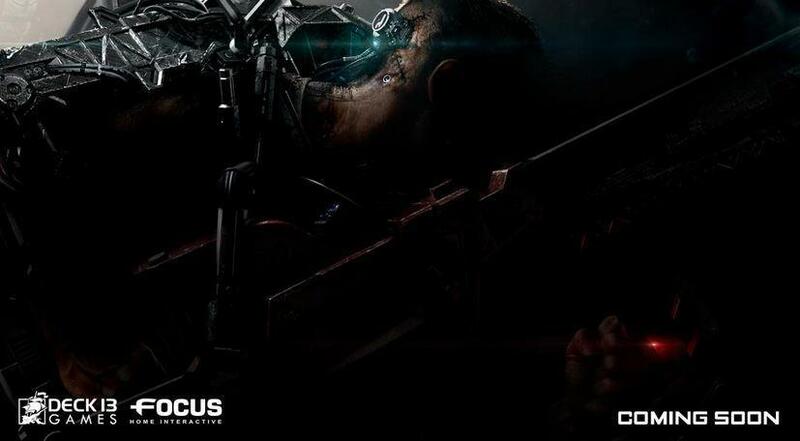 Focus Home Interactive has revealed that the game will be an action RPG featuring “innovative” combat and an “original character progression system”. It will also have a sci-fi, dystopian setting. The RPG will be launched in 2017 for PS4, Xbox One and PC – it’s a long way off, especially when you consider the amount of hype that still needs to be generated. Regardless, it is being hailed by Focus as one of the most exciting RPGs in the future so we’ll see if it lives up to the hype.